This listing is for a full page from a publication, as the date states and not a modern reproduction. Gunners and horses hauling a heavy weapon into position on the Somme. 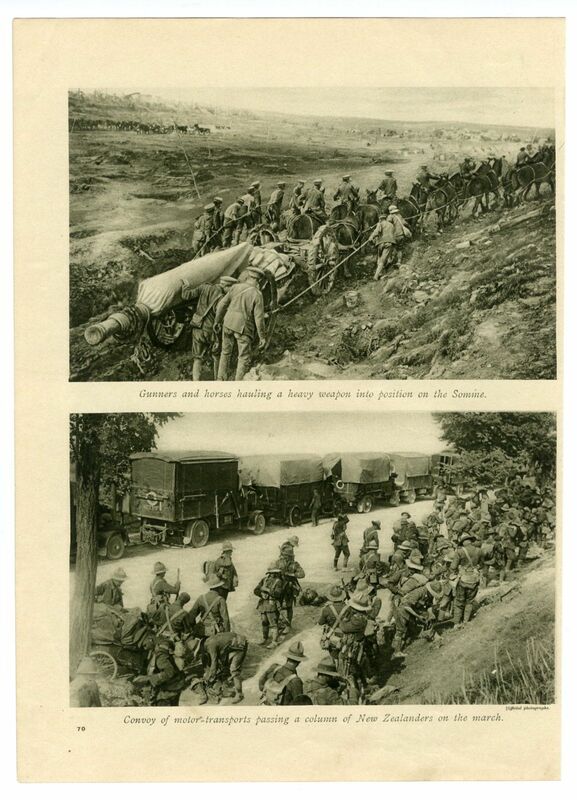 Convoy of motor transports passing a column of New Zealanders on the march. Impression of the smoke-cloud emitted by one of our big guns when firing. Provenance: The Great War - Amalgamated Press. Published circa 1916-17. The Great War series was published between 1914 and c1919. This description is © Copyright SLEEKBURN PRINTS All rights reserved.